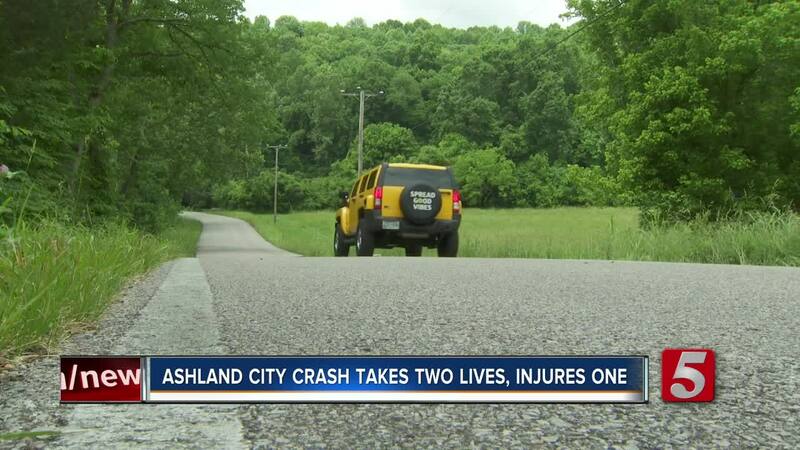 A crash near Ashland City killed two people and left a third person fighting for their life in serious condition. According to the Ashland City Fire Department, the vehicle involved in the crash on the 1600 block of Little Marrowbone Road fell about 15 feet down an embankment. The Tennessee Highway Patrol report said the vehicle was traveling south on Little Marrowbone Road. It left the right side of the road, but when the driver likely overcorrected, the vehicle crossed the centerline and onto the left side of the road where it began to tilt. It ultimately fell off the left side of the road, hitting a vehicle then became airborne and hit a second tree on the roof while in the air. Officials said it then spun around and came to a final resting place in a creek bed. The back end of the vehicle was found partially submerged in a shallow creek. Some passengers were ejected, some were extricated by first responders. According to the report, 29-year-old Tyler Guye, who was driving, and 25-year-old Joey Duffle died in the crash. Both were wearing seat belts. Sara K. King, 28, was seriously injured and flown to a local hospital. Law enforcement officials say speed was likely a factor. Damage to two trees and debris still sit in the bottom of the creek. Ken Battock lives across the street from where the crash happened. He said he was awoken by the sound at around 4:30 a.m. He said it's a dangerous portion of the road. There are no guard rails and steep drop offs on one side. "People love to come out here and a lot of motorcycles go by in a group," said Battock. "They just to ride this road. It is, just because of the curves is a dangerous road. This particular spot is a hill." Battock said friends of the victims were at the crash scene before he was. The trio had just left a nearby house and were headed to go get pizza from a local Walmart. The sound of the crash was so loud, the friends headed to the scene where they found the victims. At least one of the victims was thrown from the car.